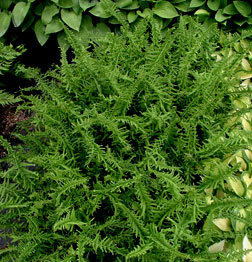 An unusual Fern with unique "criss-crossed" fronds unlike any other - from the Mickel Collection™. Spectacular, fine textured foliage for the shade garden. Vigorous and easy to grow.